Make a chic style statement with Ella Hopfeldt’s fitted light blue blouse Venice. With the subtle luster on the fabric, this shirt is appropriate for work and formal occasions. 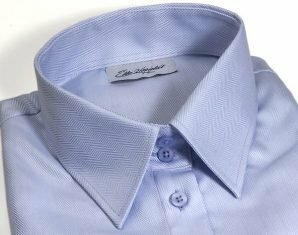 The blue shirt will add a pop of color to your look, it is exceptionally soft and easy to care for. If you happen to have blue eyes, you need this shirt – it will make you sparkle! The blue blouse Venice is a fitted, long length shirt for average height and taller women (166–183 cm/ 5’5”–6’0”).